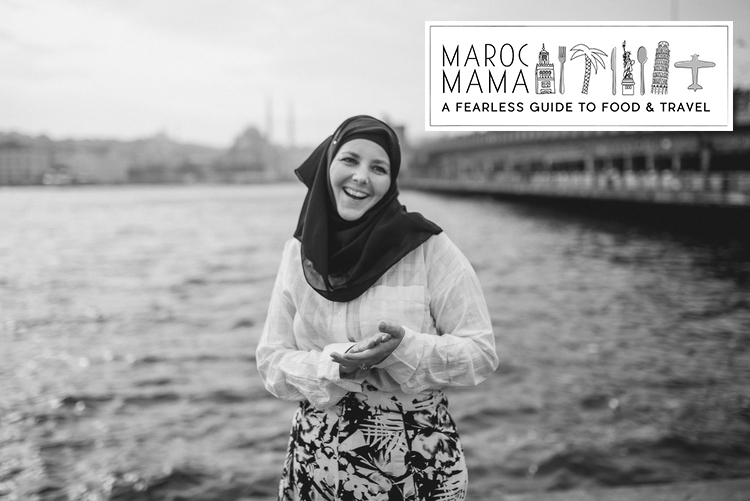 We’re excited to share our Culture with Travel interview with Amanda, a blogger, traveler and founder of the Maroc Mama blog, a fearless guide to food & travel. One of my earliest memories of childhood was escaping into books. I devoured books and longed to run away to the places in the stories. I grew up in a very rural area of the US, and it was a place I couldn’t wait to leave. The first time I went overseas, I fell in love. It opened my eyes to the fact that the stories I read could be real, I could see the places and have the experiences. Can you tell us something about the culture in Morocco and why did you decided to stay there? My first trip to Morocco was a bit random. I can remember having seen a clip on the TODAY show, when I was maybe 12 years old where one of the anchors was reporting from Jemma al Fna (the main square) and I had read one of Oprah’s book club picks that was from Morocco (Malika Oufkir’s Stolen Lives). So when my dad said he would take my sister and I on a vacation when I was 19, we finally agreed on Morocco. I happened to meet my now husband, on that trip 12 years ago. So I would say there was always some draw to the country, but I never knew why. What surprising aspect of culture do you love about Morocco (or your specific town/city) that travelers may not be aware of? I think most people associate Morocco with the desert, and an Arabian nights version of what Morocco is. But, Morocco is incredibly diverse, not only geographically but linguistically and culturally. This is a big mixing pot. From traditional Amazigh (Berber) tribal cultures, to Arab influence and colonial influences from Portugal, France, Spain, and Germany there’s so many levels to culture here. Tangia. Marrakech’s most famous dish is a slow cooked meat stew of sorts. 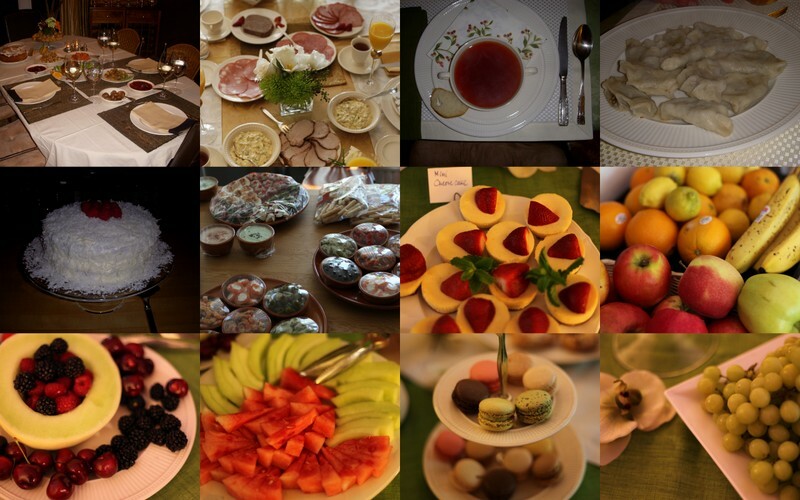 It’s very simple, but very delicious. As important as the ingredients are, the cooking method also makes the dish. Mutton pieces are stuffed into a clay urn, along with garlic, preserved lemon, cumin, saffron, a little glug of olive oil and water. It’s covered and then buried part way in coals then slow cooked all night long so that it’s tender and falling apart. So heavenly. I learned a lot about family and the different values families have when we moved to Morocco. My Midwestern American values and traditional Moroccan values can be quite different. In the US, we put a lot of value on the nuclear family and live quite separate from extended families. This is not the case in Morocco. Family is everything in Moroccan culture and that means there’s an expectation you think much broader about your role in the world. For me, I try to strike a balance between my own notions of family and the Moroccan values. I love spending time with just my husband and kids. I value privacy and separation. The most important family value to me is mutual respect. Our family is Muslim. I wasn’t raised Muslim, but converted over a decade ago. It’s an important part of our daily life, but we’re also very open minded to other faith traditions and spiritual practices. I find myself falling more in line with being a spiritual being. I respect and certainly am Muslim, but I also am not super orthodox. I believe there’s room for fluctuations. For me, rugs are the ultimate expression of Moroccan culture because every one tells it’s own story. These pieces are created by women and there are no two that are alike. They tell their own stories. If a woman in angry it might show in what she chooses to weave, likewise if there’s something else going on in her life. If you look at a rug long enough it can be an experiment in trying to read the story that’s being told. Each tribe also has its own style of rug creation, so it adds an additional level of storytelling. Languages not only give us the power to communicate, but also can unite us across cultures. What’s something you love about the multitude of languages spoken in Morocco? Share a favorite saying you have, or teach us something in your native language. I think one of the most beautiful things about the plethora of languages here is that there’s very little need to be self conscious. It truly is a regular every day thing to use bits and pieces of at least five languages. It’s very normal to be in a conversation and use three or four languages at any given time. I love spending time inside riads. These are refurbished traditional Marrakechi homes. The center interior is usually a garden with each room and design in every riad being different. True oasis’ of calm! My mom. I am sure everyone says that, but this is a no-brainer to me. My mom has always been my #1 cheerleader and supporter. Even when I did crazy things or something unexpected, she stood by my side. Always. Our lives and paths are different, but it never seemed to phase her. That is one of the most amazing gifts a parent can give their child. I think the people that stick with me the most are the ones who greet you with a smile, and show genuine happiness that you are visiting their country. Also as a woman traveling in a headscarf, I always remember the people who simply treat me like anyone else. It might sound odd but it’s a lot harder to find than most people realize. Unfortunately, stereotypes exist in the world. What are some common misconceptions you’ve heard about Morocco? What is considered disrespectful in your culture that visitors should be aware of? I think the biggest misconception is that Morocco is dangerous. Morocco is one of the most stable countries in the region and has not had issues like surrounding countries. The police and military are very vigilant and even assist European governments with law enforcement activities. Disrespectful…Moroccan cities are quite liberal, much more than people think (another misconception) and you’ll see just about anything. I think public intoxication would be something highly frowned on and maybe too much PDA – holding hands or a kiss here or there is ok, but anything more than that would really be looked at as too much. To learn more about Amanda and MarocMama, be sure to visit her website, Marocmama.com! You can also follow MarocMama on Facebook, Twitter, Instagram and Pinterest!